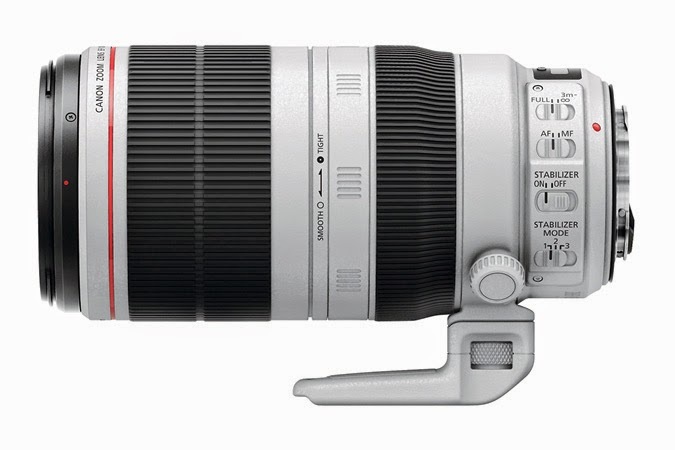 There is a top-rated merchant on eBay selling the Canon EF 70-200mm f/2.8L IS II lens for $1,900 including free shipping. Hurry, it won't last because this is an excellent deal. 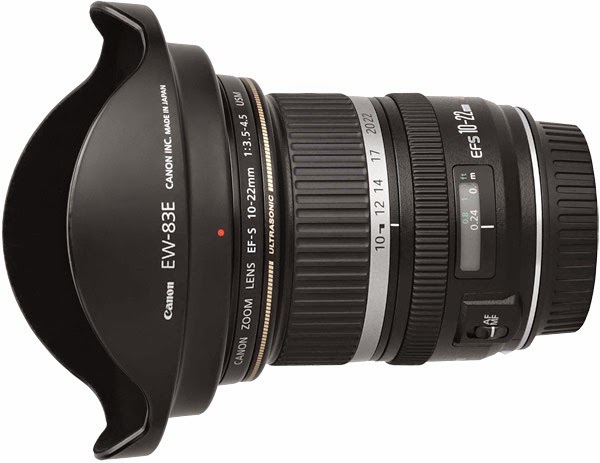 Read my Canon lens recommendation for wildlife and travel photography. 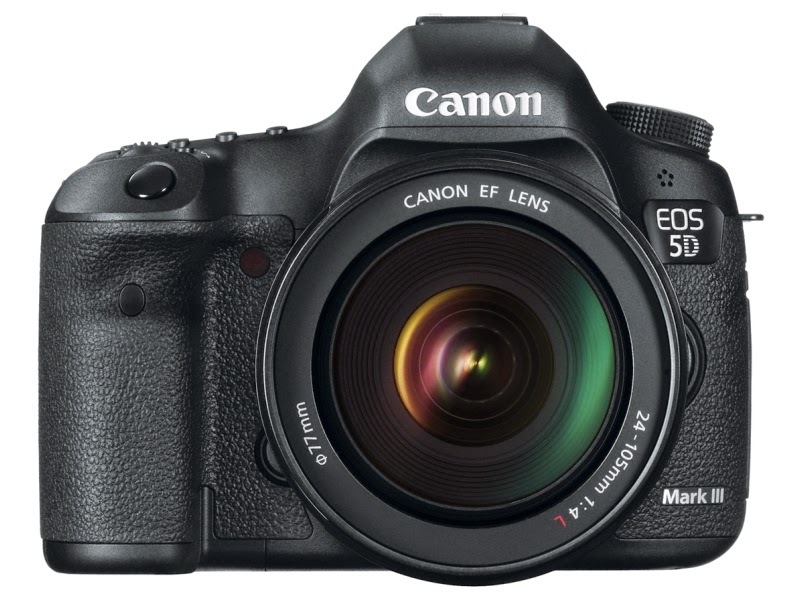 There are two top-rated merchants on eBay selling the Canon EOS-5D Mk III camera for $2,400 including free shipping. Hurry, it won't last. This is an excellent deal and my pick as the best value in full frame DSLR camera two years in a row. 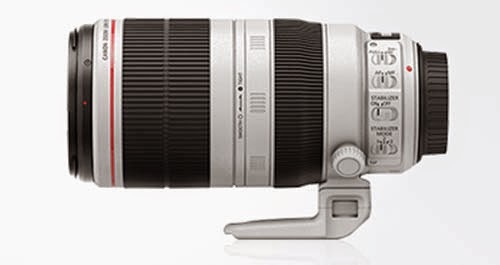 This camera is on its way to have a 3 year replacement cycle in the second half of 2015. You can read the latest post here. 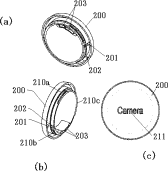 Egami, the Japanese photography website reported Canon has patented a rear and front lens cap that clean the electrical contacts every time you put them on. Canon is a huge company and files thousands of patents every year in the United States and worldwide. Few of them actually make it to the market as a product. 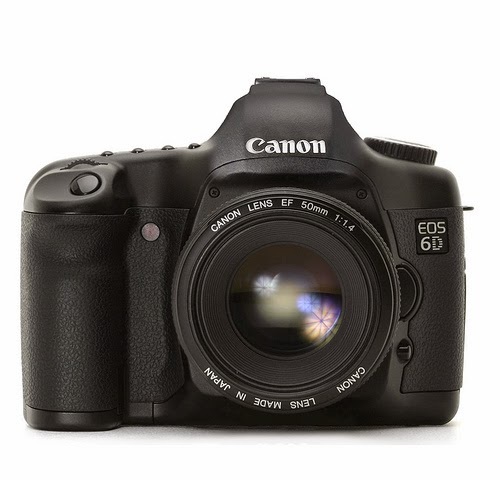 The EOS-7D Mk II was announced on September 15 and replaced one of Canon's most successful cameras, the EOS-7D. You can read my review of the camera here. 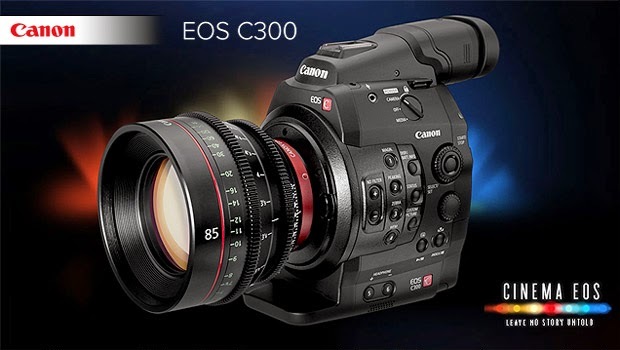 Canon has placed major emphasis on its Cinema EOS camera line. There were 'secret tests' a few months ago in a New York City film studio. The camera in question was a prototype Canon EOS-1D X Mk II, with a new type of sensor, creating files that are larger than the present EOS-1D X and similar in size to the EOS-5D Mk III but with superior colors and details. If everything goes well, the EOS-1D X Mk II model may have a product development announcement some time in early 2015, with an official launch date in Q2. That would put the EOS-1D X's replacement cycle about three years after its first introduction. 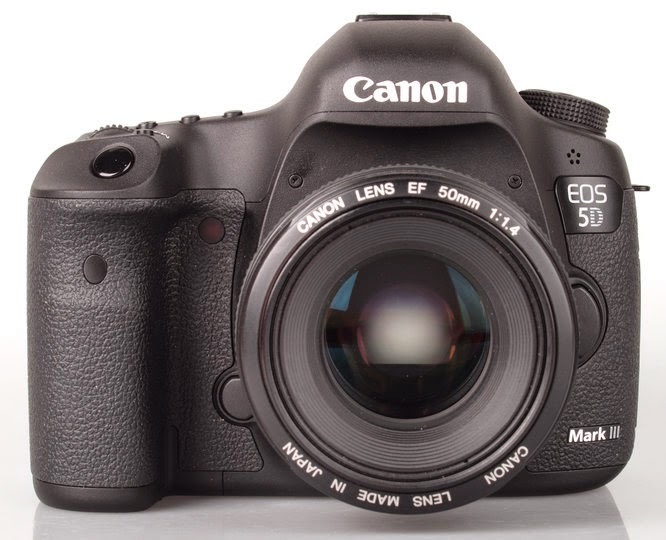 The EOS-5D Mk IV may be announced before or after the EOS-1D X Mk II. Right now the timetable is very fluid for both cameras. 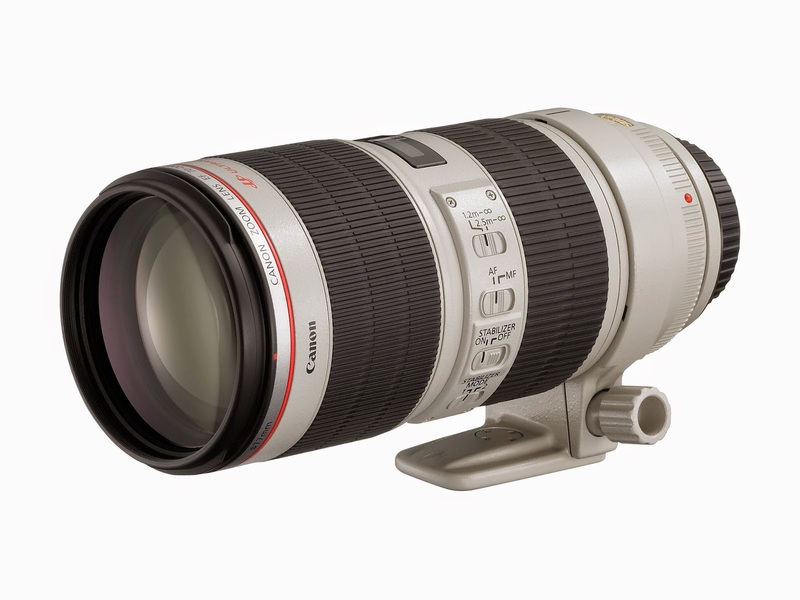 Do not forget there is also the MegaPixel Camera project on Canon's plate. There may be finally some movement in that direction in 2015. Keep checking back for the latest information and development. 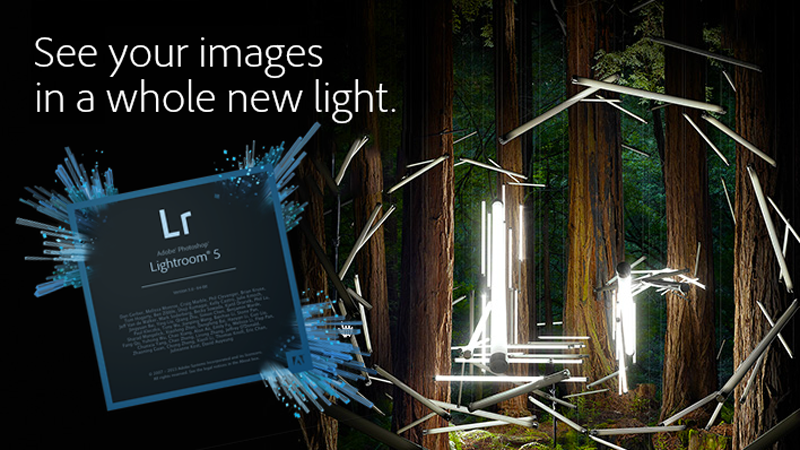 Adobe released the final version of Lightroom 5.7 Additional features are provided for camera raw support, lens profile support and correction to bugs from older releases of Lightroom. It wasn’t that long ago that almost every one of us it seemed myself included) was shooting video with the EOS 7D. We were all drawn to its great film-like image quality, compact body, Super 35mm-sized APS-C sensor, HDMI monitoring options, and slow motion frame rates -- not to mention you got a great still shooting camera at no extra cost. Now, five years later comes the EOS 7D Mark II. It’s hard to imagine it not becoming the Canon camera body of choice for still photography with features and custom functions that challenge the EOS-1D X, but what shouldn’t go unnoticed is that this new camera includes HD video recording options rivaled only by the Canon EOS-1D C. With upgrades like Dual DIGIC 6 processors, improved Dual Pixel CMOS autofocus capabilities, a built-in Intervalometer, built-in GPS, ISO 16,000 within normal ISO range, Distortion Correction, clean HDMI output, MP4 and MOV recording modes, and up to 60fps in Full HD -- it certainly makes a case that this is the new Canon flagship DSLR for video shooting, as well. By now you’ve probably already heard or read the feature highlights this camera offers professional photographers like the 20.2 megapixel APS-C sensor with ISO 16,000 standard sensitivity, 10fps continuous shooting speed, a 65 point Cross-Type AF system that features advanced face and color detection, and EOS iTR, or Intelligent Tracking and Recognition, which was previously available only in the EOS-1D X. 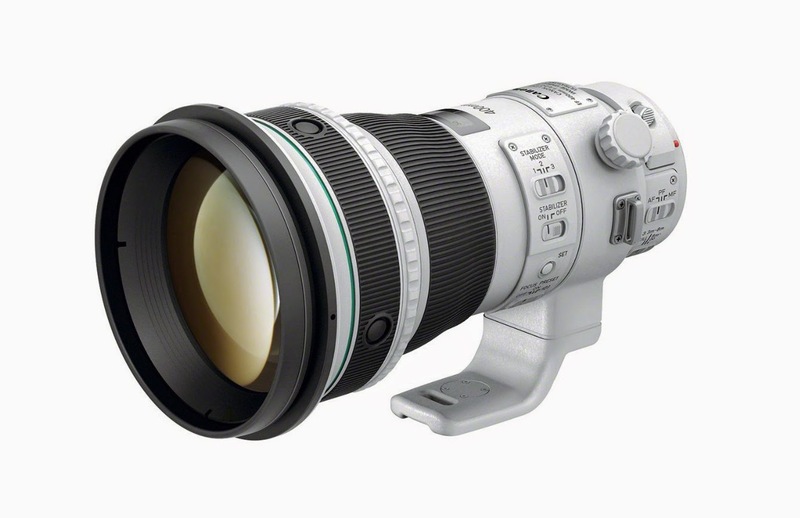 The list of still shooting capabilities and improvements goes on and on, but today, any new DSLR needs not only to offer great still image capture, but also excellent video recording capabilities in order to take a place in a professional’s photographers camera bag. No one, it seems these days, is exempt from being asked to provide HD video while on a still shooting assignment. 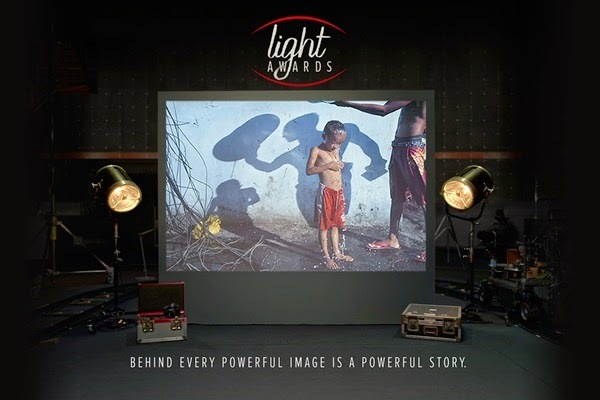 It helps to have a still camera that shoots video which is not only easy to use, but provides lots of cutting edge features and format recording options, but ultimately, captures reliably beautiful images, as well. 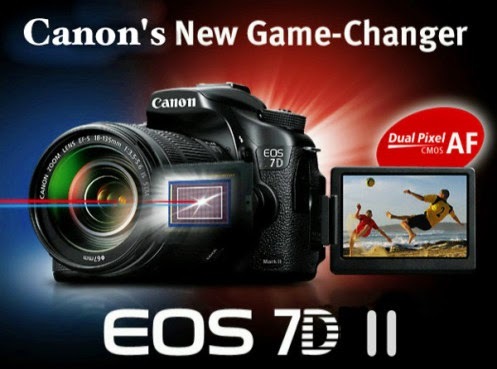 While there is little doubt that the EOS 7D Mark II will prove its still image superiority to the original EOS 7D with improved image quality and advanced capture features like faster shooting rates and the 65 point Cross-Type AF system, it’s video upgrades may be even more noticeable to everyone that relied on the original for their everyday HD workload. With that being said, let’s take a look at some of the video feature upgrades in the EOS 7D Mark II. At the heart of the EOS 7D Mark II are the new Dual DIGIC 6 processors, which not only power MOV and MP4 full HD (1920x1080) recording options -- with shooting rates up to 60fps, but also make for superb high ISO performance to ISO 16,000 (expandable to ISO 25, 600) in normal range, allowing videographers to capture images in the lowest of light situations. These new, advanced processors are what provide new internal noise reduction processing capabilities, distortion correction, and improved autofocus capabilities, improved iTR AF face detection, among other new and more powerful creative functions. One of the most common and popular uses of any DSLR is to produce motion image sequences – time lapse. For the first time ever, an Interval Timer mode is built into an EOS Digital SLR body. This eliminates the need for external accessories, like the TC-80N3, when shooting time lapse. The Interval timer is super quick and easy to set up and accessible as a simple Menu item. It allows for shooting intervals ranging from 1 second to 99 hours 59 minutes and 59 seconds. The default setting for the interval timer menu is set to shoot an “Unlimited” number of frames, but if you only need a set amount, it allows you to choose “No. of shots” ranging between 1 to 99 shots. Additionally, if you want time lapse with a finished high dynamic range look, HDR mode can be included while shooting time lapse sequences. HDR mode offers 4 levels of exposure compensation (including auto) and 5 levels of image enhancements. You can set the internal recording options so that only the combined HDR images are processed, making for a quicker image sequence build in post. 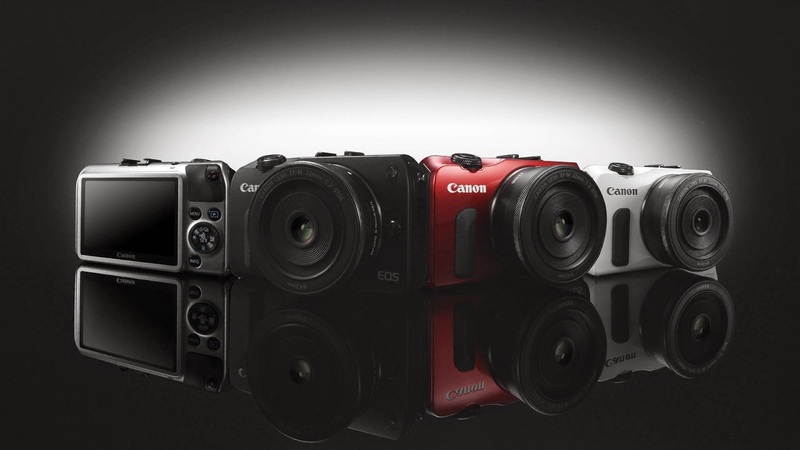 For the first time in an EOS camera Canon includes both the MOV and MP4 file format to the recording options. While MOV has long been the native recording format for most Canon DSLRs, MP4, which is widely considered a more compatible format for file sharing and playback on devices such as smart phones and tablets, offers a convenient alternative when creating material intended for interactive multimedia formats. You’ll find the EOS 7D Mark II offers a wide variety of frame rates and compression schemes, but thanks to the added power of the dual DIGIC 6 processors, the EOS 7D Mark II is now able to record in both MOV and MP4 formats in Full HD (1920 x 1080) up to 59.94p. The only other EOS camera with Full HD 60fps recording capabilities is the EOS-1D C.
The EOS 7D Mark II includes three levels of compression; ALL-I intraframe compression for higher quality video and frame accurate editing, IPB interframe compression for reduced file sizes, and a newer, heavier compression method called IPB (Light), which is an even more compressed MP4 format. IPB Light has been made available for times when the most important element of the shoot is simply the length of recording time or memory card capacity. When it is used, it’s possible to record over 8 hours of video in 1280x720 resolution to a 16GB card -- although it’s important to note that when the recording time reaches 29 min. and 59 seconds, the movie recording stops automatically, necessitating a manual restart. Another first for an EOS DSLR is the ability to record in true 24.00fps has been included in the EOS 7D Mark II. This is the same frame rate as cinema film cameras and enables you to shoot side by side with a film camera set to 24.00fps, shoot in front of a film projected background, or to otherwise integrate conventional film footage into your editing workflow. While internal recording uses either H.264 or MP4 formats, the EOS 7D Mark II can also output clean, uncompressed, digital video data (YCbCr 4:2:2 8 bit) with encoded time code, and for the first time in an EOS camera, the HDMI output is streamed with audio. While the HDMI output is being recorded to an external recorder, you can simultaneously be monitoring the video feed on the camera’s rear LCD and/or recording internally to the CF or SD card. Capturing images through the HDMI with an external recorder allows for the recording of a video signal devoid of compression artifacts to large media storage drives. It may improve the post-production workflow with enhanced editing options, such as recording to a preferred edit ready codec on an external recorder. This adds an enormous amount of flexibility as it offers greater efficiency to video editing, a larger color space for improved color grading options, and enhanced on- set monitoring. One of the big improvements to this process with the EOS 7D Mark II has been the addition of new HDMI frame rate output choices. Now, you can select progressive outputs of 59.94p, and for the first time in an EOS DSLR, 23.98P, in addition to Auto and 59.94i. 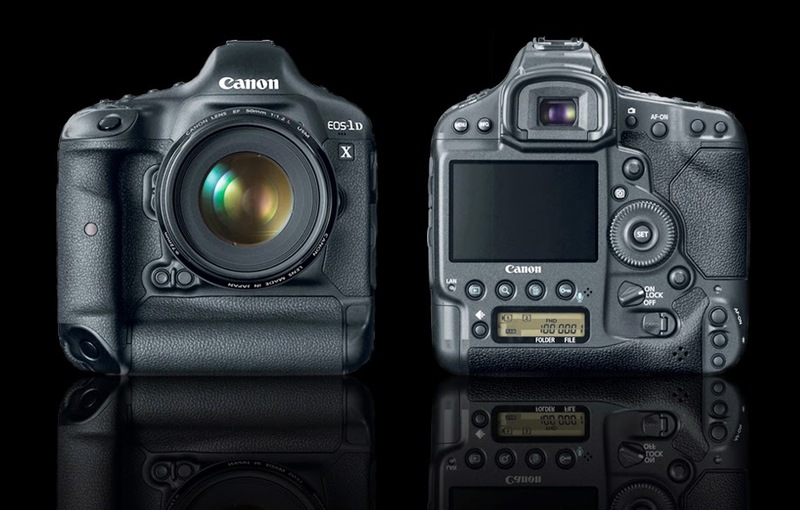 In the same manner as the EOS 5D Mark III and the EOS 1D C, the EOS 7D Mark II offers a Mirroring/No Mirroring menu option that allows you to choose how you want camera information displayed while recording. You can choose to have the clean HDMI signal output to the external monitor/recorder while camera info is displayed on the camera’s LCD panel simultaneously, or to simply output the camera displays and information to appear on external monitor only, if desired. The EOS 7D Mark II also comes with a cable protector and cable locking attachment to help ensure a solid connection for peace of mind when using an HDMI cable connected to an external monitor or recorder. A Dual Pixel CMOS sensor, which originally debuted in the Canon EOS 70D, has been improved and is incorporated in the EOS 7D Mark II for smooth, accurate focus tracking while shooting. Dual Pixel CMOS AF now includes customizable AF speed and response settings, and a new AF Area Select Lever that is easily controllable, and allows for rapid change of AF Area Selection modes. Thanks to the new dual DIGIC 6 image processors in the EOS 7D Mark II, there is improved Face + Tracking autofocus features, and now you can change the Movie Servo AF speed. When the EOS 7D Mark II is equipped with a compatible EF lens 1, it allows the operator to choose from five customizable speeds of Movie Servo AF tracking sensitivity for fine tuning of focus fade-in and fade-out times, as well as whether you want the focus speed adjustments active all the time or only when rolling. For example, you can set the camera to acquire quick focus marks during setup and rehearsal, and then set it to use a slower transition speed for when you start shooting. Then once rolling, the focus transition speed will shift between subjects with the customized speed you selected for that scene. Another improvement to Dual Pixel CMOS AF is the addition of Movie Servo AF Tracking Sensitivity. With this setting, you can set the camera give preference to your pre-set focus mark, or instruct it to adjust focus quickly to a new subject that moves into frame. You can select one of five levels of adjustment between “Locked on” and “Responsive” to select just how sensitive the Movie Servo AF will be if the AF points lose track of the subject during Movie Servo AF. Dual Pixel CMOS AF employs a combination of phase difference detection with contrast AF to drive an autofocus capable lens in the correct direction without searching. The active area covers approximately 80% of the width and height of the Live View image and is usable in all modes and with all frame rates except 59.94 and 50.00 fps. When shooting in 50.00fps or 59.94fps, autofocus switches to Contrast AF, which still allows for quick and reliable focus checks (by depressing the shutter button halfway) while setting up or shooting slow motion sequences. The EOS 7D Mark II offers optional CF and SD recording. While most of the advanced functions of dual memory card slots are reserved for still shooting, it still offers advantages to the video side in a number of ways like categorizing time-lapse file types, not to mention providing the option of using less expensive SD cards and overall extended recording times provided by two cards. The EOS 7D Mark II is compatible with UDMA Mode 7 CF cards and UHS-I SD cards. Having GPS as a built-in feature is something that’s sure to benefit both still shooters and videographers alike. This should be really useful for multi-camera/multi-unit shoots – like reality television with several crews in different locations -- to help during editing to identify which camera unit captured a particular shot and where it was captured. Besides using the United States GPS satellites, the GPS module itself has been upgraded to add support for the Russian GLONASS system and Japan’s Quasi-Zenith Satellite “MICHIBIKI,” which greatly improves positioning accuracy. 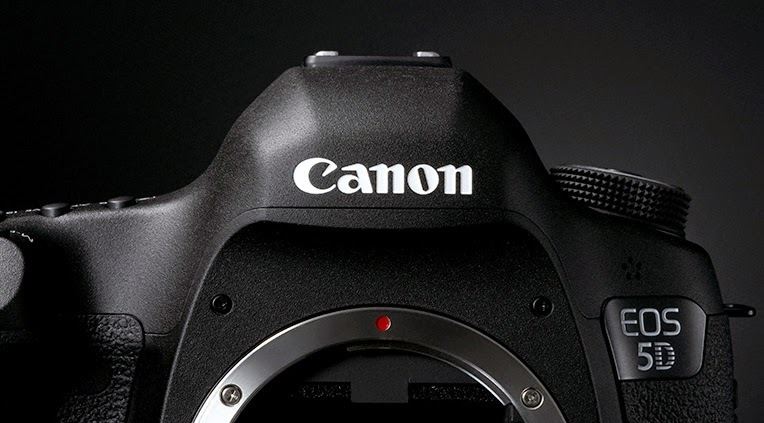 The EOS 7D Mark II is the first Canon EOS camera with a digital compass built in. The compass will be extremely helpful when planning shoots, preparing for sunrise and sunset photos, or setting up for a time-lapse sequence. Additionally, GPS log data can be saved to a memory card slot separately from the image files, making file and log management easy. The body of the EOS 7D Mark II is built of tough magnesium alloy, improving the build-quality compared to the EOS 7D and EOS 5D Mark III, and approaching the EOS-1D X and EOS-1D C. Improved dust and water resistance, which is roughly four times better than the EOS 7D, will ensure that the shoot goes on -- even in inclement weather. Squarely aimed as a professional video tool, the EOS 7D Mark II includes an internal microphone, both a 3.5mm microphone jack and a headphone jack for monitoring audio. Headphone volume, attenuator activation indication, and a digital compass are now displayed while shooting video. A selection for headphone volume has also been added to the Silent Control. Silent Control gives shooters the ability to adjust critical settings on the fly. The EOS 7D Mark II has been internally revamped to offer an even more sensitive Silent Control dial than previously found on any Canon DSLR and it offers an expanded list of control options, as well. Now, when the camera is rolling, you can silently select and adjust Shutter Speed, Aperture, ISO, Exposure Compensation, Sound Recording Level, and Headphone Volume by gently touching the control dial on the back of the body. The SuperSpeed USB 3.0 Digital terminal enables high-speed transfers to a computer. A dedicated interface cable and cable protector are provided with the camera. This allows for rapid image transfers without the need of an external card reader. Besides lens Peripheral Illumination correction that compensates for fall off at the corners of the frame in EOS cameras, thanks again to the DIGIC 6 processors, the EOS 7D Mark II now provides Distortion Correction, Lens Aberration Correction and Chromatic Aberration Correction. People sometimes ask why they should ever want to use Auto White Balance, Auto Exposure or Auto ISO when shooting video. I can offer a perfect example. Once, I had to follow a football coach from the locker room, through the tunnels beneath the stadium and out into football stadium that was bathed in bright daylight. These may seem like inconsequential items at first, but having these functions available can be a true shot saver, besides simply saving a lot of time in quick run-and-gun video situations. The EOS 7D Mark II shutter button can now be customized four different ways to shoot still photos or video. This allows you to take advantage of the way the shutter button performs during still shooting, for capturing movies. For the first time in an EOS camera, you can set the shutter button so that when it is depressed halfway, you can get Metering and AF or only Metering, if desired. Depressing it all the way down will Start/Stop movie recording. This opens up some really nice features. First, still shooters will be really comfortable metering, getting focus, and shooting video in the exact same manner they shoot photos. Second, when shooting slow motion and Dual Pixel CMOS AF is no longer available, it allows you to get a quick autofocus mark before recording. Perhaps, most importantly, it allows you to use the Remote Switch RS-80N3 or Timer Remote TC-80N3 shutter release button to start/stop movie recording without having to physically touch the camera. This should really come in handy when the camera is mounted out of reach. Image playback on the EOS 7D Mark II has been greatly enhanced. When playing back a clip on the EOS 7D Mark II, scrollable display windows can be accessed, offering easy access to an enormous amount of information about the camera’s capture settings used on the clip being reviewed. It’s now quite easy to verify the basic camera setup parameters like shutter speed, exposure, ISO, clip length, file size, and image capture mode, for instance. Now, by simply jogging up or down the joystick on the back of the camera body, you can scroll through to lens information with an RGB histogram display. Another screen shows specific White Balance settings, color temperature, and WB correction. You can check the Picture Style parameter settings for Sharpness, Contrast, Saturation, and Color tone on the clip. Color space settings and High ISO speed noise reduction can be displayed. Information such as Lens Correction data availability that includes Peripheral Illumination Correction and Chromatic Aberration Correction settings can be displayed. Another window offers GPS information such as latitude and longitude, elevation, UTC (Coordinated Universal Time), and the direction that the camera was facing while shooting. You can even adjust the font size to make the windows easier to read. And if all that is not enough, the EOS 7D Mark II offers an editing mode that allows for trimming the heads and tails of clips to cut back on unnecessary transfer time.